Bob Strunck in the Comiskey Park bleachers, about 40 years ago. Have you ever watched a couple you used to double-date with bicker and struggle when they’ve come to the point that they just don’t like each other very much anymore? That’s what it’s like to watch a significant segment of both Cubs and White Sox fans now. You wonder how it came to this, and whether the only reason your own relationship hasn’t similarly strained is because you don’t care enough. John Iwanski cares more than most. After decades as a Cubs fan, he’s been wearing a White Sox cap lately. Now, he said, when he passes Wrigley Field, a few blocks from his house, it’s hard to look. “It’s like breaking up with someone you love,” he said. Retired catcher A.J. 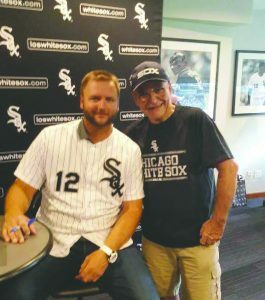 Pierzynski and retired public defender Bob Strunck. Iwanski is one of those modern heroes likely to, at any time, run into a burning building to save a bowl of goldfish. And then he would get all modest and crack jokes about it. He says that the Ricketts family, owners of the Cubs, aren’t his kind of people anymore. “If I have a choice, I’d rather feel good about what I’m supporting, though I know it’s never perfect,” he said. He acknowledges that the Ricketts were kind enough to bring a championship to Cubs fans, a feat, in its rarity, that seems equal to reversing the Chicago River or making a tasty meat-like product out of vegetables. But the family has baggage he’s unwilling to carry. The list is fairly impressive. Joe Ricketts, the moneybags paterfamilias who bankrolled the purchase of the Cubs a decade ago, was recently caught taking part in some pretty ugly, racist email exchanges. His son Tom, the Cubs boss, delivered an apologia that seemed sincere only in its failure to recognize the problem. 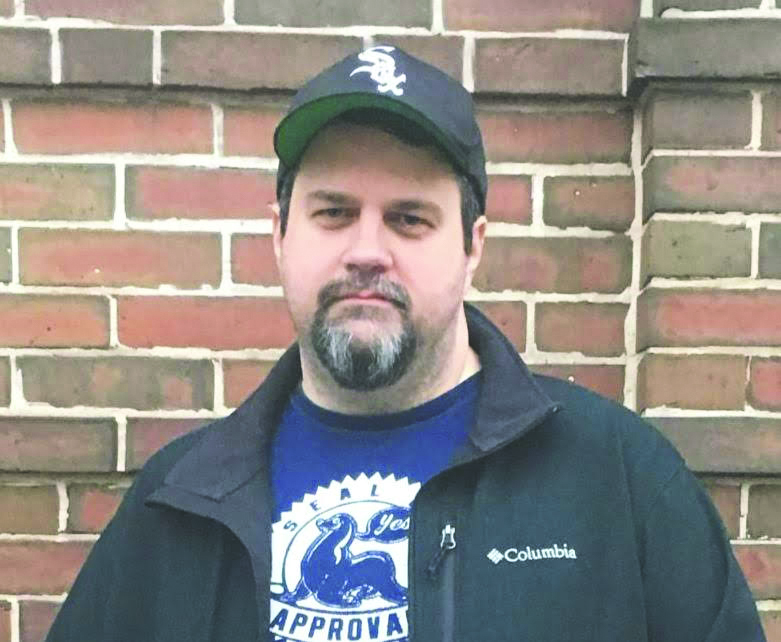 “This is the first time in a long time that I am not terribly excited for the start of the season, not because it happened, but the way he responded to it,” said Lali Watt, a Cubs fan since moving to the area about 35 years ago. To Iwanski, the scandal fits in with the Ricketts’ substantial support of Donald Trump’s 2016 and 2020 campaigns. And the family ganged up, with words and money, on the local alderman. Tom Tunney had sinned by being slightly reticent about giving the Ricketts everything they wanted to complete the conversion of Lakeview to the adult amusement park known as Wrigleyville. Then there’s the Cubs’ embrace of two domestic batterers, Aroldis Chapman in 2016 and Addison Russell this year, as well as the homophobic Daniel Murphy in 2017. But Iwanski mentions Sinclair Broadcast Group first. The huge, doctrinaire media company will take over TV broadcasting of most Cubs games starting next season. “We know what Sinclair is and what they stand for,” said Iwanski, referring to the network’s far-right canting of news to the point of requiring “must-run” pieces that create an Orwellian nationwide parroting of imaginary events. Iwanski, unlike Watt, has particular distaste with Sinclair’s plan to charge $5 a month for the privilege of seeing Cubs games on TV. This, he said, would, for the first time, put Cubs broadcasts out of the range of the poor, especially children and those on fixed incomes. For veteran Sox fans, this is not a surprising reaction. One of the first bones fans picked with the then-new Jerry Reinsdorf/Eddie Einhorn ownership was their creation of SportsVision. That took most Sox games off the free-TV rolls in 1982, and it was a big to-do. The bitterness may have been softened by the Sox’s 1983 division championship, which was an occurrence as unusual then as if Martians had landed in center field. The Reinsdorf era brought several other significant public relations disasters, but nothing seems to have created a stir comparable with what’s happening right now. After many weeks apparently leading suitors of the “generational” free-agent Manny Machado, the White Sox were left holding the coat of the San Diego Padres, which spent $300 million on a 10-year pact in late February. 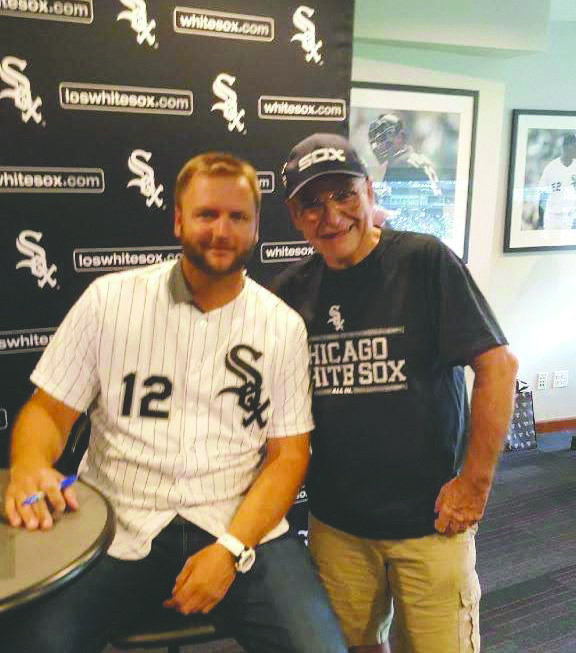 The Sox are a large-market team outbid by a small-market team, said James Duda, a life-long fan who hasn’t missed a home game in years, and runs the 19,000-member “Chicago White Sox Pride & Passion” Facebook page. His site, and others like it, are alive with Machado-oriented complaint, with the complainers in constant struggle with the team’s defenders. Open letters to Reinsdorf and other critical articles have appeared on the many White Sox online periodicals, professional and amateur. A few writers have even rooted for Reinsdorf’s death, aware he’s rumored to have told his family to keep the Bulls and sell the Sox when he’s gone. Duda, personally, was against socking so much money into one player. But he gets the angst. “It’s not [Rick] Hahn’s fault,” he said of the club’s general manager. “Rick Hahn is Jerry’s creation. Hahn promised something big: “We’ve got money to spend, we’re not the White Sox, we’re the Yankees, Boston. The White Sox may have actually offered more money in total than the Padres, but toward the end of an eight-year contract, its full bloom was contingent on performance. In other words, Machado would continue to make obscene money as he approached age 34, if he still played like the 26-year-old Hercules he now is. But that’s not what Machado wanted. “That (type of offer) isn’t bad at all, except no one else is doing it,” said Bob Strunck, one of Reinsdorf’s more vocal critics. “It’s pure common sense, but it’s not the way the world works. Everybody else pays guaranteed money. Lifelong fan James Duda on a rare visit to a White Sox skybox. (Irv Leavitt photo). He says the Machado signing would have been a big deal for the Sox, who are entering the third year of a rebuild, and need somebody to build that rebuild around. Prior to the 2017 season, they traded off their best players in exchange for some of the best prospects. Nothing much has come of that yet, probably because only two seasons have passed, and because nearly all of the prospects have been injured at least once. White Sox fans are used to free-agent signings that are expensive, but not expensive enough, Strunck said. For instance, in 2011, the Sox hired a power-hitting left-handed first baseman away from the Washington Nationals, Adam Dunn, who proceeded to hit .159 against American League pitching. Four years later, they hired a power-hitting left-handed first baseman away from the Washington Nationals, Adam LaRoche, who hit .207. Both, Strunck said, when free agents, seemed to have no other serious suitors beyond the Sox, who duplicated their long-held commitment to questionable bargains almost exactly this time. 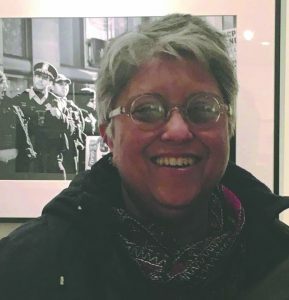 “They even had the same name,” Strunck said. The Reinsdorf White Sox have come up with more difficult-to-swallow ideas than The Two Adams. One of the most awful was the threat, in 1988, to move the team to Florida if the state of Illinois didn’t build a new ballpark with little rooms in the mezzanine for rich people. Then there was Reinsdorf’s leading role in pushing a labor agreement that all but forced a player’s strike in 1994, just when his own team, driven by a monster Frank Thomas year, was in first place. Duda has bought his 2019 season tickets, and he has high hopes for the rebuild. He’ll probably see Iwanski at the ballpark. 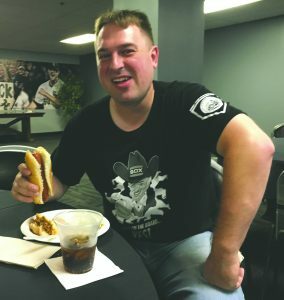 Iwanski grew up on the South Side, and was a childhood White Sox fan, until the Florida threat. 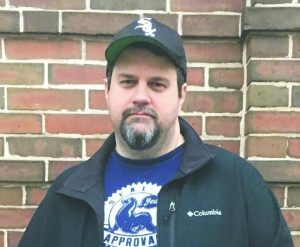 He works in Englewood, so it’s not much of a stretch for him to switch sides, even after about 30 years of a differing opinion. “I have decided this year that I’m not going to go to too many (Cubs games), so I don’t support the Ricketts family as much,” Watt said. She said one of the things she likes about Wrigley Field is that she can always find someone she likes talking to, unlike her experience at the White Sox park. “I don’t like the fans, I didn’t like their old park, and I like their new park even less,” she said. Changing loyalties, she said, is ridiculous. Strunck has bought his season tickets. “I’m trying to outlast the ownership,” he said. 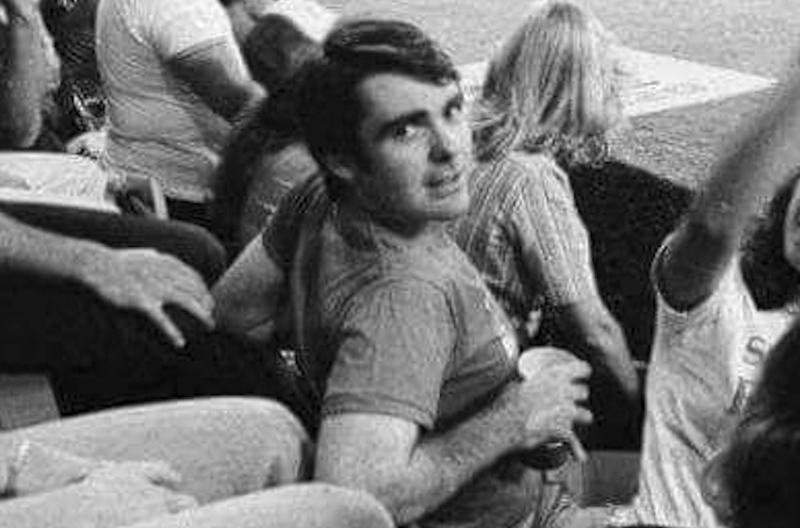 He was one of those gathered around the “Sox Supporters” banner in the left field bleachers in the 1970s, and he’s glad he was. “I made lifelong friends,” he said. “I watched so many bad years, but I made friends with the people.